The Battle of Le Mesnil-Patry was the last major combat operation conducted by Canadian land forces in Normandy during the month of June 1944. 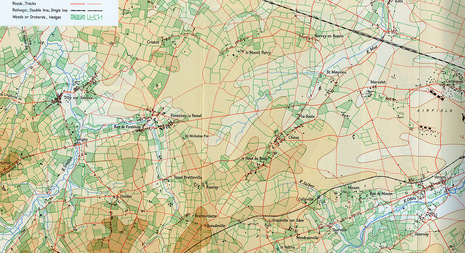 The Queen's Own Rifles of Canada, supported by the 6th Canadian Armoured Regiment (1st Hussars) attempted to take the town of Le Mesnil-Patry in Normandy as part of a southwards move towards high ground as part of the overall strategic goal of taking the city of Caen. The battle resulted in a German victory. 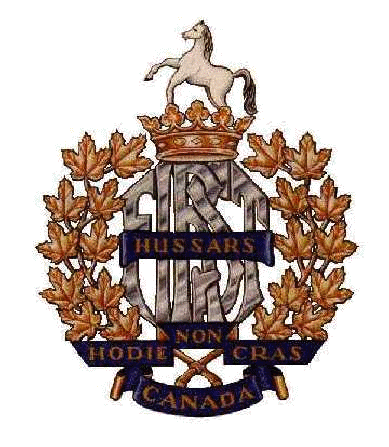 On the afternoon of Sunday, 11 June, 'B' Squadron of the 1st Hussars suffered heavy losses during an abortive attack with The Queen's Own Rifles of Canada on the hamlet of Le Mesnil Patry, North-West of Caen. 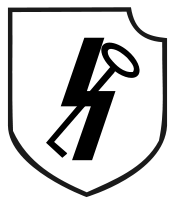 Panzergrenadiers, pioneers and tanks of the 12th SS Panzer Division were able to ambush the tanks of 'B' Squadron in part due to intelligence gleaned from the Hussar's own radio traffic after capturing wireless codes from a destroyed Canadian tank on 9 June. Using Panzerfausts, Panzerschrecks and anti-tank guns, the German forces were able destroy 51 Shermans, and inflict 61 killed or missing, 2 wounded and 11 captured on the 1st Hussars. The Queen's Own Rifles suffered 55 killed, 33 wounded and 11 taken prisoner during the attack. The attack actually began shortly after 2:30 p.m. on 11 June. It was a complete and costly failure "B" Squadron of the Hussars led the advance, with the men of “D” Company of the "Queen's Own riding on its tanks. This force had not gone far across the level grainfields between Norrey and Le Mesnil-Patry when very heavy mortar and machine-gun fire came down. The infantry were forced to dismount from the tanks, which pushed on in an attempt to deal with the opposition. 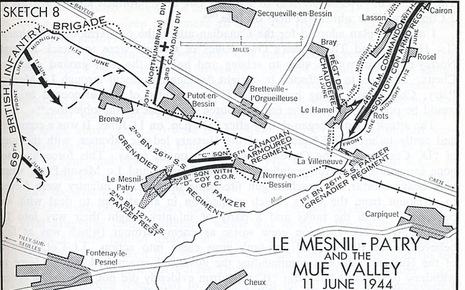 Both the tanks and a party of infantry fought their way into Le Mesnil-Patry. The situation grew worse as enemy armour (which was at first believed to be British) and anti-tank guns came into action. Lt-Col. Colwell of the Hussars, who was commanding the advanced group, ordered his force to withdraw to the start-line. But "B" Squadron evidently did not receive the order and was virtually annihilated. All its officers and all save three N.C.Os. were listed as missing, and only two of its tanks returned. As for "D, Company of the Queen's Own it was found to have suffered 96 casualties, more than half of whom were missing. The total casualties for this day were 80 for the 6th Armoured Regiment and 99 for the Queen's Own Rifles, the fatal casualties being 59 and 55 respectively.